The Original PurpleTraveller....: Do you know your fruit..? 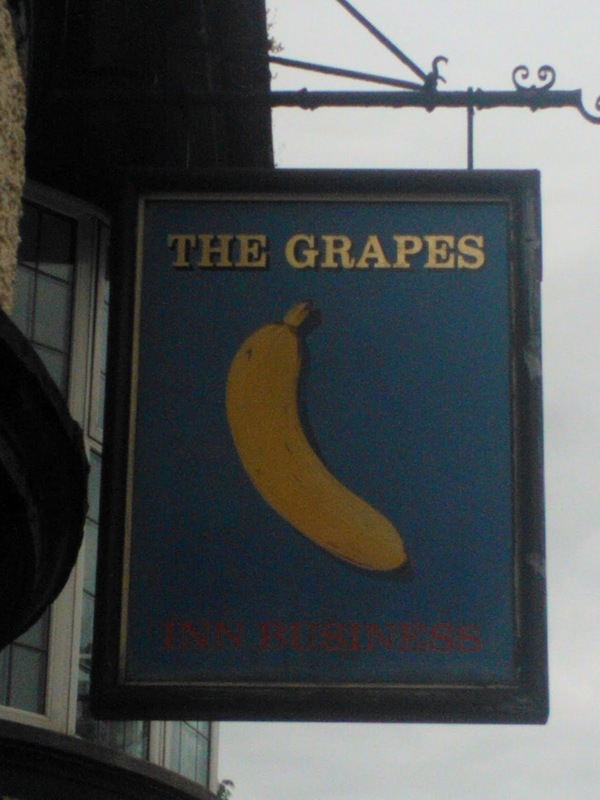 Pub sign in Melksham- The grapes or not..!! Now I wouldn't say that I can recognise and name every fruit that exists on the planet..but until today I did think that I could tell the difference between grapes and a banana.... maybe I was wrong..
Can't be an official "EU" grape I suppose - too bendy! !